Paul Bass, editor-in-chief of the New Haven Independent has created this quirky crossword puzzle, just in time for Thanksgiving. He challenges you to solve it and track down New Haven’s financial finest. This puzzle has loads of images, making it fun and engaging for solvers. In constructing this puzzle, Paul used our newest grid editing feature and gave us a lot of feedback to improve it. Thanks, Paul! Try out the crossword here. Bonnes nouvelles! PuzzleMe is now in French. Gear up, all you creative constructors! The PuzzleMe platform is now in French, allowing you to effortlessly create and host crossword puzzles in the French language. Big news for solvers as well! Try solving a French Crossword here. 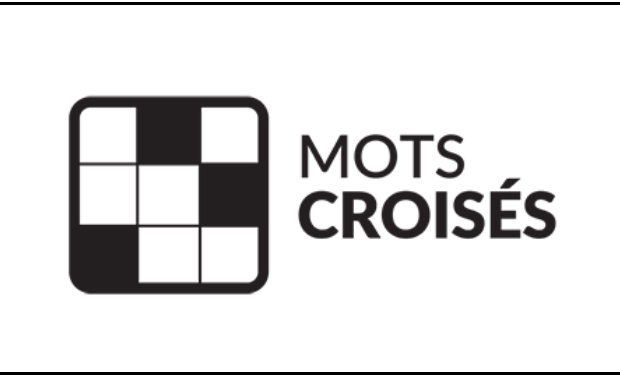 Now you can also enjoy solving mots croisés supported by PuzzleMe, here at the Acadie Nouvelle’s crossword page. Acadie Nouvelle is using the platform in a unique way: while they don’t have French puzzles in standard crossword formats, they find it easy to simply enter their offline puzzle into PuzzleMe using the grid editor available in our PuzzleMe creator. 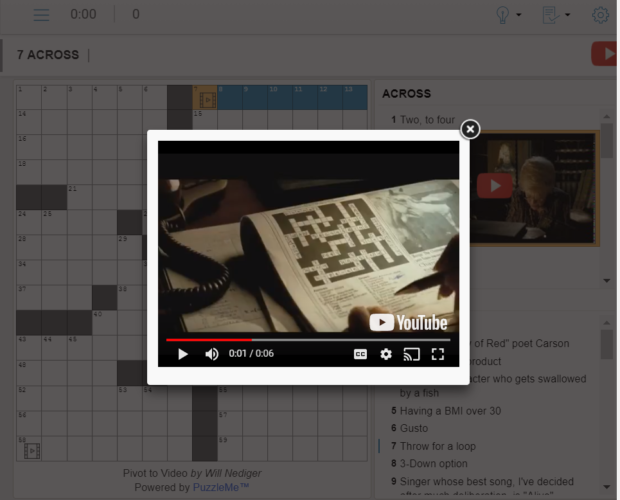 Will Nediger has constructed a wonderful crossword called Pivot to Video using PuzzleMe. In this puzzle, Will has cleverly inserted some video clues — that themselves feature crosswords! How self-referential is that? Try solving this crossword here. 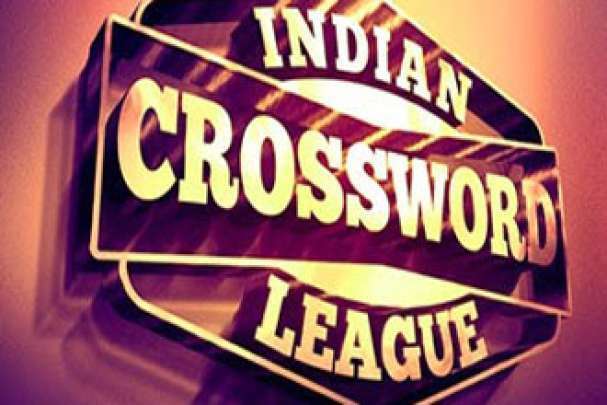 Indian Crossword League (IXL) is here. Gear up all you crossword wizards! The stage is ready for you! IXL a one-of -its kind crossword league is launched at the National Sports Club of India, Mumbai on 17th September 2017. What are you waiting for? Register for the contest here. Kaspersky Lab the global cyber security company has published their first crossword – cyber security using our PuzzleMe creator. This puzzle has a unique background with hints & related links for each clue that enable the players to learn more about the security-adjacent terms. So go ahead & try out this puzzle. 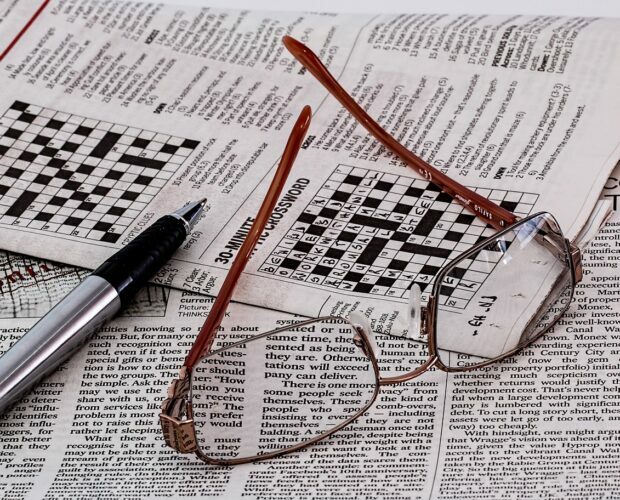 Rob Tornoe – the digital editor at Philly.com wrote this column on online crosswords. 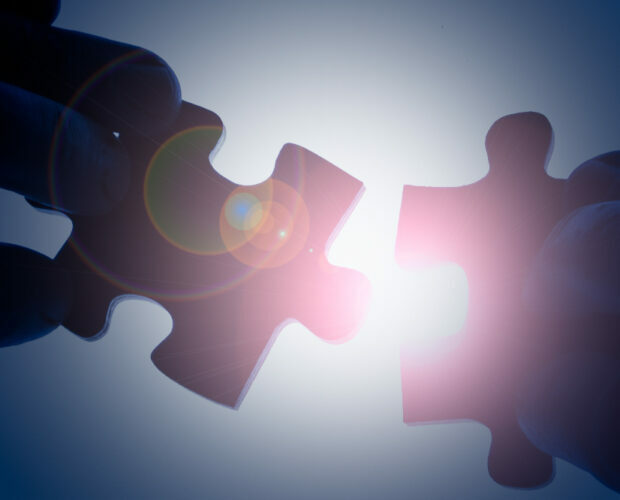 “With Puzzle Me, individuals and small publishers can create puzzles for free, while news organizations with an eye on creating revenue or reader loyalty pay a subscription fee, which comes with added support, help in creating more customized puzzles and detailed access to analytics. 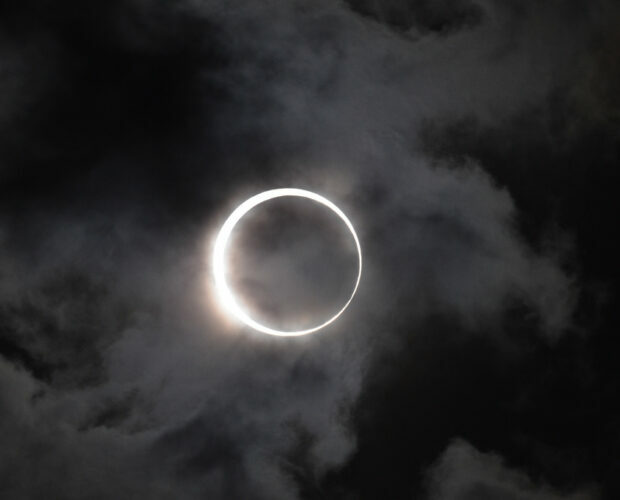 The platform also offers video pre-roll ads and targeted display ads in an easy-to embed iframe……..
After a decades-long wait, America experienced one of nature’s spellbinding sights – the total solar eclipse on August 21, 2017. Charity Brown, a digital editor at The Washington Post cleverly thought of adding some extra zing to the Posts’s coverage of this unique event and started working on a crossword to entertain and educate readers about the eclipse. The PuzzleMe team thought it would be worthwhile to share Charity’s experience with crossword aficionados. Make the answers short and clear. Charity had a good idea: use gif, mp4s, and images to make the puzzle really fun and informative. She started with clues and answers relevant to the solar eclipse. However, her initial list of answers had some really long ones (e.g., PATH OF TOTALITY) Long answers make the grid big and unwieldy. Instead, we suggested she frame the clue in a way that the answer needed would be just the word TOTALITY (7 characters instead of 14). 2) Avoid questions that can be answered with a simple YES or NO or a number. 3) Don’t worry about whether a question will go Across or Down. The software will take care of the layout. Charity thought she would need to specify which words would be placed Down or Across in the grid. Her initial list of answers had 2 different sub-lists: words for across and words for down. However, because the layout algorithm is completely automatic, she didn’t need to do this. Don’t worry about helping the software, it will help you! PuzzleMe’s automatic layout algorithm will evaluate millions of possibilities and come up with a compact layout that fits the answers. 4) After the software generates a grid, use the edit grid option to fill in more words related to the theme of the puzzle. Next, Charity found that her original grid had some empty areas that were under-filled. It became quickly clear that the empty areas could be fitted with words related to the theme of the puzzle, such as PLUTO, GLASSES, and GAS, that would not only add interesting words to the grid but also fill out the grid more evenly. 5) Don’t reveal the answer to a question in other clues or media files. One of the clues that Charity wanted to include contained the answer to another clue. (Yes! PuzzleMe will give you warnings in this case.) We suggested she cross reference her clue to that answer. For example: Change to clue text to something like “The outermost layer of 19 Down”. 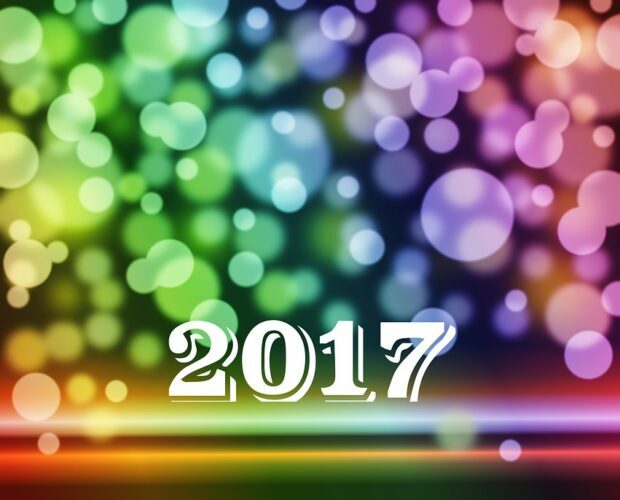 6) Whenever you use multimedia links, make sure you give the URL of the actual image, not the page containing the image. After Charity had completely created the crossword, the embedded crossword was not picking up any image in the clues. Then we found that she was making a big mistake — she was using the URL of the page that contained the image. You should always use the URL of the actual image, which can usually be obtained by right-clicking on the image and using the “Copy Image Address” option. 7) Add reference links. Users can learn more that way and you can take them deeper into your site or subject. Charity wanted the user to reference an article while trying to solve the crossword puzzle. PuzzleMe has a feature called “Show Related Link”, which makes this task easy. We made all the reference articles available through the hint menu (bulb icon) during the game play. The “Show Related Link” option takes the players to the reference article which opens in a new tab. The idea is to make it part of the game as an extra hint to players. Charity wanted to use embeddable Youtube videos in clues, which are played when the clue is clicked. However, she initially gave the URL to the entire video, parts of which gave away the answer. Not much fun! In such cases, you can specify start and end time offsets in the video. This serves two purposes – the solver can get to the interesting part of a video quickly and avoids spoilers. For example, this Youtube clip will start playing 75 seconds into the video due to the trailing #t=75 and stop at 85 seconds due to the &end=85 http://www.youtube.com/watch?v=9bZkp7q19f0&end=85#t=75. You can also use mp4 and other formats supported by HTML5 and similarly specify start and end times for the video. 9) Be sure to cite the source of a clue. You can add copyright attributions to your crossword in the ‘Puzzle Information’ section. These are small matters, but they can really impact the quality of your puzzle! Hope you keep them in mind, and puzzle away! August 21, 2017, America will witness one of nature’s breathtaking sights- the Total Solar Eclipse. The Washington Post’s Speaking of Science Blog has published a fun Solar Eclipse Puzzle catering to people of all ages. This puzzle is not only engaging, it also has plenty of unique videos, picture galleries, articles about the Solar Eclipse gathered by the Post. I learned a lot about the Eclipse by solving this puzzle and from the goodie of additional resources revealed at the end of the puzzle. Don’t forget to try this puzzle, It’s time worth spent eclips’ing!